Screening machines may be deployed to all NYSC Orientation camps across all 36 states in the country if the Ebola Virus Disease continues to spread, the Director General of the National Youths Service Corps [NYSC], Brig. General Johnson Bamidele Olawumi said this at the weekend during the official flag-off the NYSC/State Governments Collaboration on Monthly Environmental Sanitation Exercise held in Akure, the Ondo State Capital. He further said the machine would enable them to detect the health status of every newly admitted corps members and to prevent the spread of the disease among the corps members during their stay in the camps. The Director General also said the NYSC has integrated all the camp clinics into the states’ plan for combating the spread of the deadly Ebola disease while charging all Nigerians to imbibe the spirit of cleanliness in view of the dreaded Ebola Virus. He further emphasized that all relevant government agencies should work together to curtail the spread of the disease that is currently ravaging West African countries. 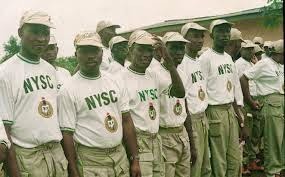 The NYSC boss praised the corps members for their contribution to the national development, particularly during the just concluded Ekiti and Osun gubernatorial elections, saying they have displayed high level of patriotism. His said, “Over time, Corps members have contributed tremendously to the fight against HIV/AIDS pandemic, conducted Millennium Development Goals [MDGS] advocacy across the nation, assisted in the implementation of the National programme on Immunization, participated in the conduct of National Census and most recently national elections". “Indeed the excellent performance of corps members in the recently conducted Ekiti and Osun States gubernatorial elections is a testimony to their high level dedication and patriotism. “However, for the NYSC to effectively render service and contribute meaningfully to national development, we need to partner and collaborate with all stakeholders and that is why we are keying into the monthly environmental sanitation programme of state governments”. The Ondo State Governor, Olusegun Mimiko who commended the NYSC for flagging off the programme in his state, said the NYSC had decided to launch the programme in the state due to the fact that it is one of the cleanest states in the country. Gov. Mimiko, who was presented by his Chief of Staff, Kola Ademujimi also counseled residents of the state on how to prevent Ebola Virus Disease. The Governor also urged the people to stop contact with dead bodies, particularly those who died through Ebola virus. While lauding the corps members in the state, the governor promised that his administration would continue to support the NYSC.